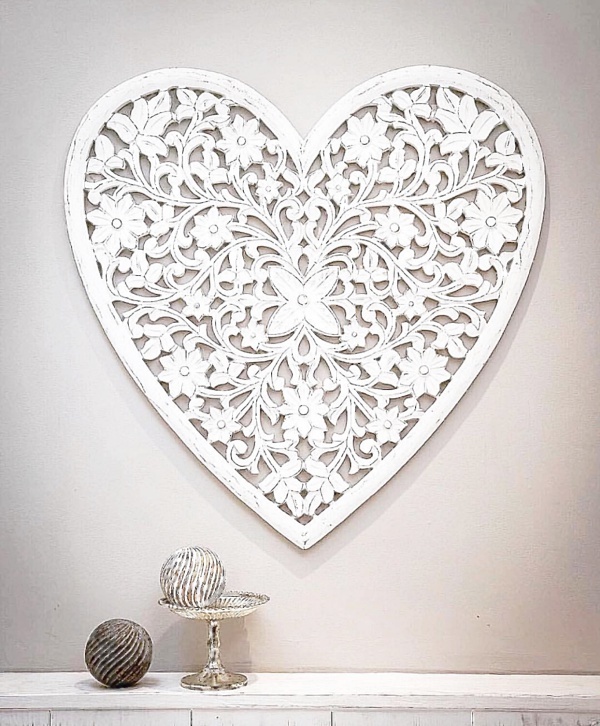 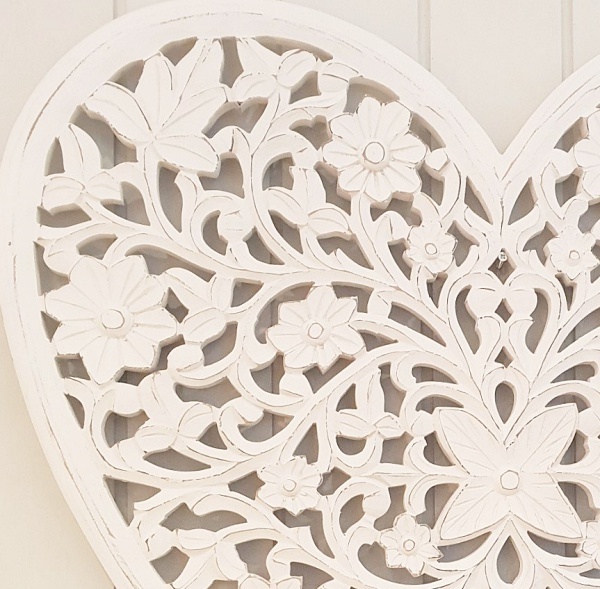 These gorgeous, eye-catching heart shaped wall panels are hand carved out of mango wood and are simply beautiful. They make such a stunning feature to any room of the house. 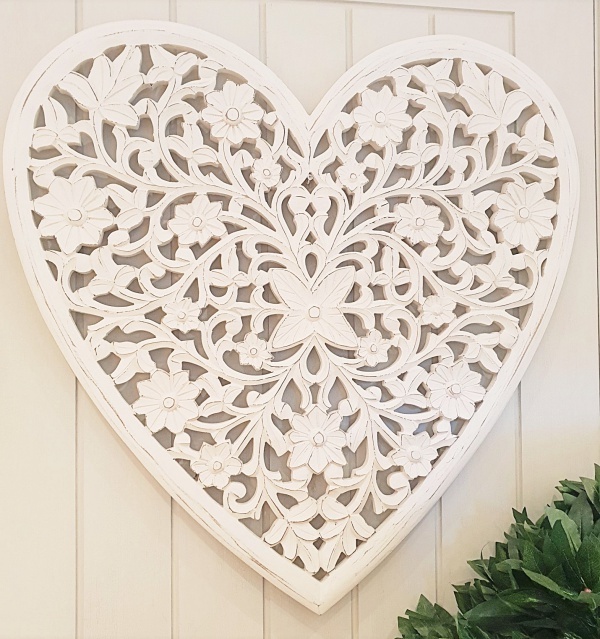 Hand carved from beautiful mango wood and painted white in a distressed style.